Ivy received her Master’s in Counselling Psychology with emphasis in Marriage and Family Therapy (MFT) from the University of San Francisco in California and completed her undergraduate degree in International Relations from San Francisco State University. Following the completion of her Masters, Ivy worked in a non-profit community based health service centre in San Francisco to provide comprehensive behavioural health services to adolescents, at-risk youth and low income families where she conducted individual therapy, family therapy, group therapy, and case management services. She also served as a youth advocate and coordinated with probation officers under the Intensive Home Based Supervision Program and conducted early periodic screening, diagnostic and treatment for children under the age of 21. 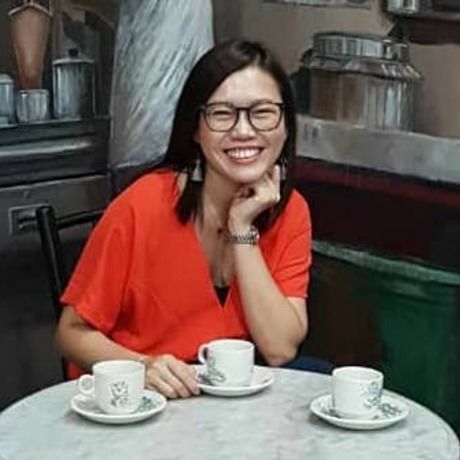 Since returning back to Malaysia in 2012, Ivy became the acting head and clinical consultant of Shine Guidance Centre where she oversaw centre operations. As a Counselling Psychologist, her scope of expertise extends to providing counselling support, psychotherapy and behaviour intervention to adolescents and family living with relationship difficulties, social and emotional issues and psychological disorders. Ivy enjoys traveling and reading during her free time. Traveling provides an opportunity for her to cultivate mindfulness, a time for reflection, relaxation and introspection. She enjoys new experiences and gaining new perspectives. Our purpose is to create an environment that allows you to focus on what’s really important - getting your work done and meeting interesting people. More than a turn-key office, we are in the business of realizing businesses by offering professional advice, training and investor networking when you need it. Perk, a specialty coffee company, is crazy about getting the best cup of coffee you’ve ever had! We’re a roast to order online platform that sends out your beans within 48 hours of roasting. Perk was started by coffee-crazy couple Paul and Serena. Their coffee journey began much earlier in Africa, where they both lived for several years.It’s in Kenya that they fell in love with coffee and developed an appreciation for its delicious “fruity” coffees and the beautiful highland plantations. All about catering, special delights, and a cafe. We cater for any events and reservations. Our menu ranges from local to western cuisine. Humility helps to avoid judging difference as inferior. Compassion enables us to appreciate people who challenges our beliefs and values while veracity continues to question assumptions which can guide us to objectivity. How does one then becomes a culturally responsive member of the community? It is important to be familiar with the knowledge of individual and social biases, cultural values, and power structures. Understanding these concepts is essential to cultivating inclusion from within. Doors open at 9am for light refreshments, event starts at 10am. Walk-ins are welcomed however we encourage you to sign up to get a cuppa coffee!